As stated in our mission statement, MMES students, staff, parents, and community will cooperatively provide a safe, child-centered environment that builds self esteem, self-discipline, and the essential skills for lifelong learning. It is important to us that we teach MMES students skills for making good choices, treating others well, and accepting responsibility for their actions. Please review more information in the documents section: FHUSD Parent/Student handbook, MMES School-Wide Rules, and MMES Student Discipline Matrix. Also learn about our student citizenship, leadership, and service programs below. In conjunction with Character Counts!, we use the strategies of Bucket Fillers for Life. This program was created by “The Bucket Man” Merrill H. Lundgren, and there are several children’s and adult’s books that share his ideas. Bucket Fillers for Life is a metaphor for treating others well with everyone having a bucket. When we do good things for people or good things happen to us, our bucket gets filled. When we do something that is not nice to others, both our buckets and their buckets are dipped into and may become empty. Through this metaphor, we teach and discuss with students how to fill instead of dip into each other’s buckets. To learn more and use this strategy with your children at home, go to the Bucketfillers for Life website. MMES’s student council is comprised of two representatives from every 2nd and 3rd grade class. Interested students are selected by their classmates and teachers as representatives, and then interested members run for the positions of 2nd grade president and vice-president and 3rd grade president and vice-president. Student council helps plan activities for the school, votes on programs such as “dog tag” awards, and takes part in service projects such as recycling and other school and community service. 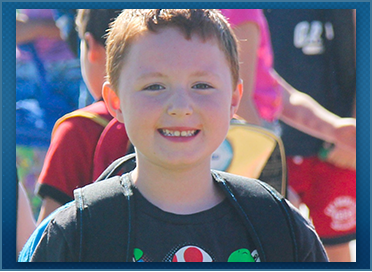 Every year at MM School, we recognize 2nd and 3rd grade students for their positive character. We call them Falcon Leaders. These are students who are learning the difference between the right way to act and the wrong way to act, just like all students. A Falcon Leader is someone who makes the right choice even when no one is watching. Falcon Leaders work with the school counselor to develop ideas that promote Character Counts and other positive character traits. This includes making announcements in the morning, making posters and other visuals, presenting in classrooms, and presenting at school assemblies. Falcon Leaders are selected by teachers in late September and serve for the entire school year. Very often the previous year’s 2nd grade Falcon Leaders return as 3rd grade Falcon Leaders. Junior Achievement is an international program that teaches students entrepreneurship, financial literacy, and how to be ready for the work force. JA has designed curriculum appropriate to each grade level. At MMES, parent and other community volunteers are trained to teach the five-lesson JA curriculum in an assigned K–3 classroom, ideally once-a-week with a goal of starting in September and finishing by November. MMES is truly appreciative of its JA volunteers and the real-life skills that K–3 students learn through this program. If you are interested in volunteering, please contact your child’s teacher or the school at (480) 664.5200.